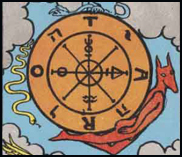 Depending upon how we stand in relation to our fate, we can interpret the WHEEL OF FORTUNE Tarot card as either an expression of our helplessness and lack of power, or as evidence of a life experience from which we can grow and ripen. On the events level, the Wheel often shows us situations over which we in fact have no influence. The downside of the Wheel is that our intentions simply don’t work out: the weather, the road traffic, the air traffic controllers’ strike, the treacheries of the material world or another “force majeure” bring our grand plans to nought. The Wheel of Fortune shows us that it is not yet the time to realise our ambitions. 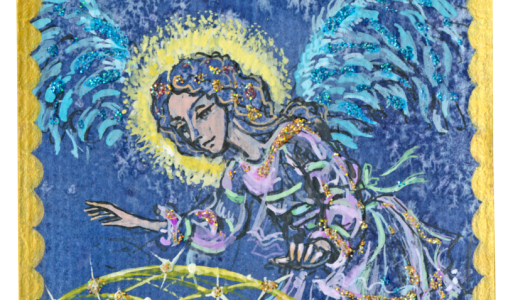 This card in a typical reading may be a valuable sign that we are nearing to approaching the more positive side of the Wheel, which means happy, comforting and surprising changes. 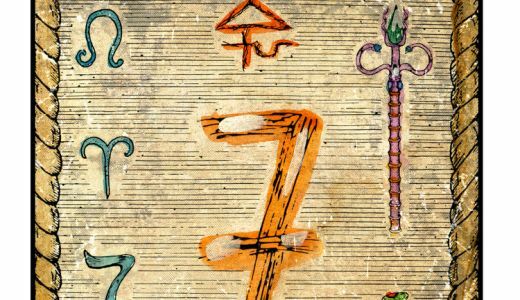 Do you have a question for the Tarot? 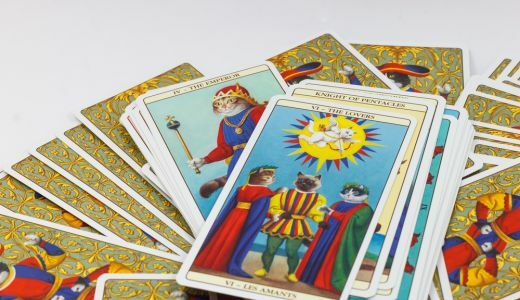 Consult our experience Tarot readers for answers!